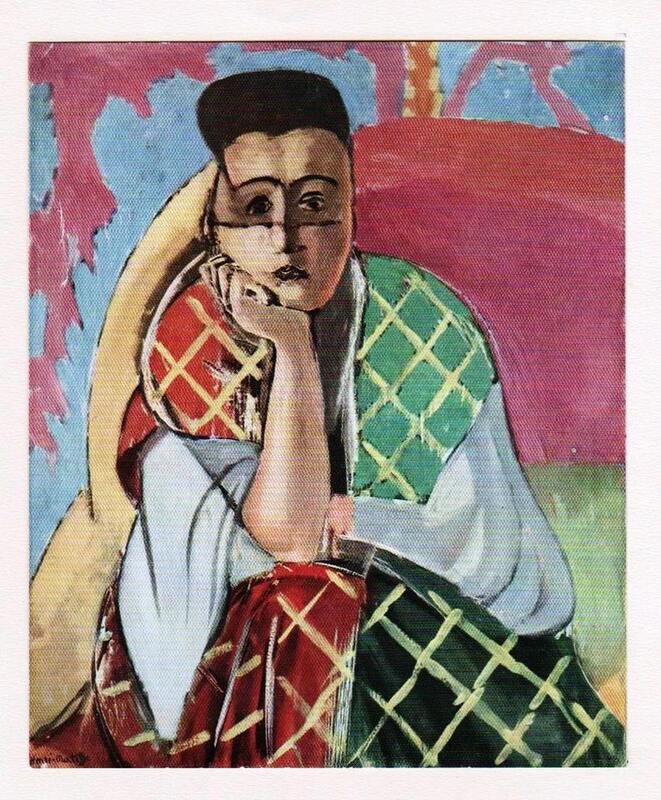 TITLE: Woman with Veil (aka Femme a la violette), 1927. EDITION: © EDITIONS DES CHRONIQUES DU JOUR, PARIS 1935. Printed by Frazier-Soye, Paris, under the supervision of M.G. Di San Lazzaro. This colour plate is number I of III. SUMMARY: This Beautiful Piece is after the above Listed Classic Work of Art, and it is signed by Matisse 'in the plate' (visible lower l/h/s, zoom). Title and year of the original work are catalogued beneath the plate (only seen if the plate is lifted), plus there is other corroborative detail catalogued in lead verso the passepartout support. It will be a simply SCRUMPTIOUS exhibit when displayed.